Footage of the assault was shared widely on social media, and police urged people not to discuss the case online. 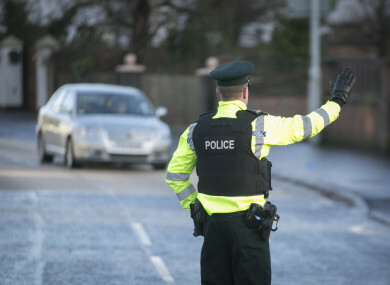 THE PSNI ARE appealing for witnesses to an assault of 16-year-old girl in the seafront area of Bangor last Friday evening. Footage of the attack has been shared widely on social media, but police are urging the public not to use online platforms “as a means of progressing the investigation”. Police said the teenager was assaulted by a group of teenagers at around 7.30pm and that she sustained a number of facial injuries. He said that all suspects were identified. Two suspects have been arrested while the others are being actively sought by police. A 16-year-old girl has been arrested on suspicion of assault occasioning actual bodily harm, and had been released on bail but was subsequently charged. A 17-year-old boy, meanwhile, has been arrested on suspicion of grievous bodily harm with assault, aiding and abetting grievous bodily harm, and assault occasioning actual bodily harm. He remains in police custody and is aiding police with their inquiries. Another 18-year-old woman has been charged with causing grievous bodily harm. McGrath said: “While we appreciate the support of the local community and understand their shock at this assault, we would ask that members of the public do not use social media as a means of progressing this investigation. Our officers are working hard on this case and it is important that we follow due process. Facebook has since taken down the video at the request of police. Email “Three charged in Bangor after teenager left with such severe injuries her face can't be x-rayed”. Feedback on “Three charged in Bangor after teenager left with such severe injuries her face can't be x-rayed”.